Works from the book: Luang Prabang Watercolors by Somboon Phoungdorkmai that I published just a year ago are on show at the beautiful traditional house of a friend (Francis Engelmann) in Luang Prabang (Laos). 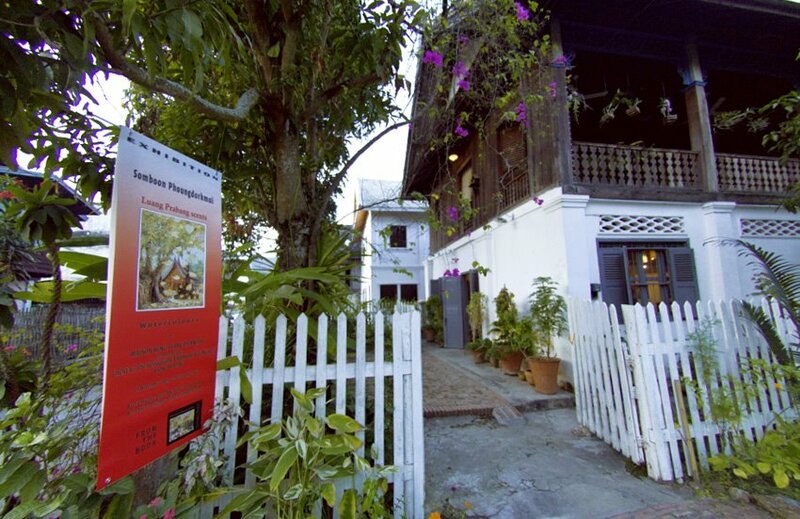 The exhibition will go until early February in this World Heritage city and the house is next the Elephant restaurant. Original artworks and ‘giclée’ prints are on sale as well as the book.